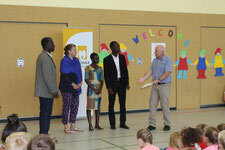 a visit from ghana - joyschoolghanas Webseite! 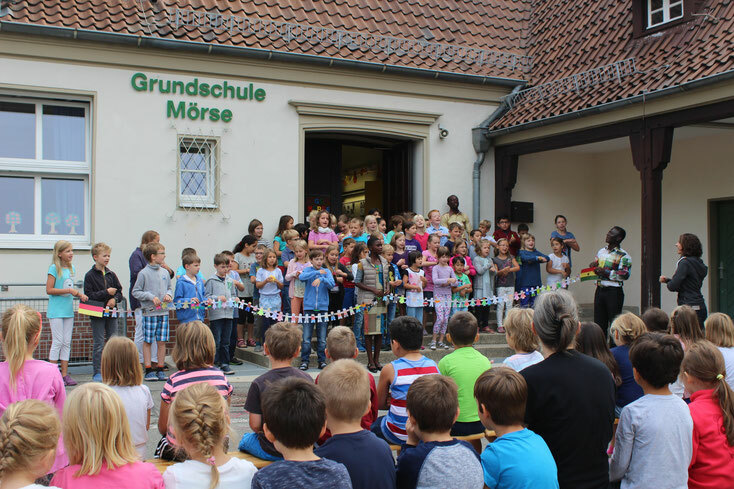 17th of September 2016: On the school playground in Mörse took a truly visible and perceptible connectional farewell-breakfast for the guests from Ghana place. School principle Jan Wonzak and the teachers and students afford an affectionate reception to the guests from Ghana on the 6th of September 2016. Joyful Learning School student Sandra and students from the Ehmen/Mörse school work together as a team. What kind of Christmas carols are they singing? 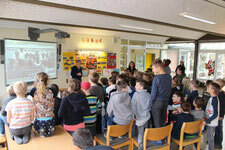 While meeting through Skype on St.Nicolas’ Day, the students learned a lot from each other. Looking forward to the next exchange with anticipation.